Alice Marshall Public Relations • calling all future reporters of america! calling all future reporters of america! Do you have what it takes to be the 10th annual King’s Cup Polo Tournament’s newest…and youngest reporter? If so, Anantara wants you! Anantara is now taking Facebook submissions for their Roving Elephant Reporter contest. They are looking for a talented reporter between the ages of 7 and 15 to cover the daily action on the polo field along with behind-the-scene interviews with Anantara’s Director of Elephants, John Roberts, elephant veterinarians, and elephant polo players. But that’s not all, the young reporter will also get the chance to explore the exotic beauty of the royal seaside town of Hua Hin, Thailand, and report back on their adventures, such as visiting the teak wood palace, Maruekhathaiyawan, one of the oldest and most treasured royal palaces in Thailand, trekking through a local vineyard by elephant, and participating in a kids-only Thai cooking class. The chosen Roving Elephant Reporter and a chaperone will win a seven day, seven nights all expenses paid trip to Thailand and stay at the luxurious Anantara Hua Hin. If you have what it takes, follow the instructions below, and we will see you in Thailand! To win: the contestant with the best video entry as voted by our elephant experts will be invited to spend seven fun-filled nights on a full-board basis with an accompanying adult at Anantara Hua Hin Resort & Spa. This includes round-trip flights, accommodation, daily activities, and transport. We are proud to announce that Guinot Institut Paris, the pioneering French skincare company that has been offering amazing skincare solutions for over 40 years, has joined the Alice Marshall Public Relations portfolio. From revolutionary beginnings, with their patented Hydradermie treatment – Guinot was the first to incorporate galvanic current into their skincare protocols – and intensive work with hospitals specializing in skin disorders, burns, and scarring, the brand now has a full roster of results-driven and scientifically effective facial and body treatments, as well as nearly 100 complementary skincare and body products. Known the world over as an industry leader, Guinot has consistently led the charge in everything from game-changing technology and techniques in skincare (they were the first to use actual DNA as a sun protection measure) to maintaining the most stringent high standards in the development and manufacturing of their products (they have achieved full ISO Certification in their laboratories). 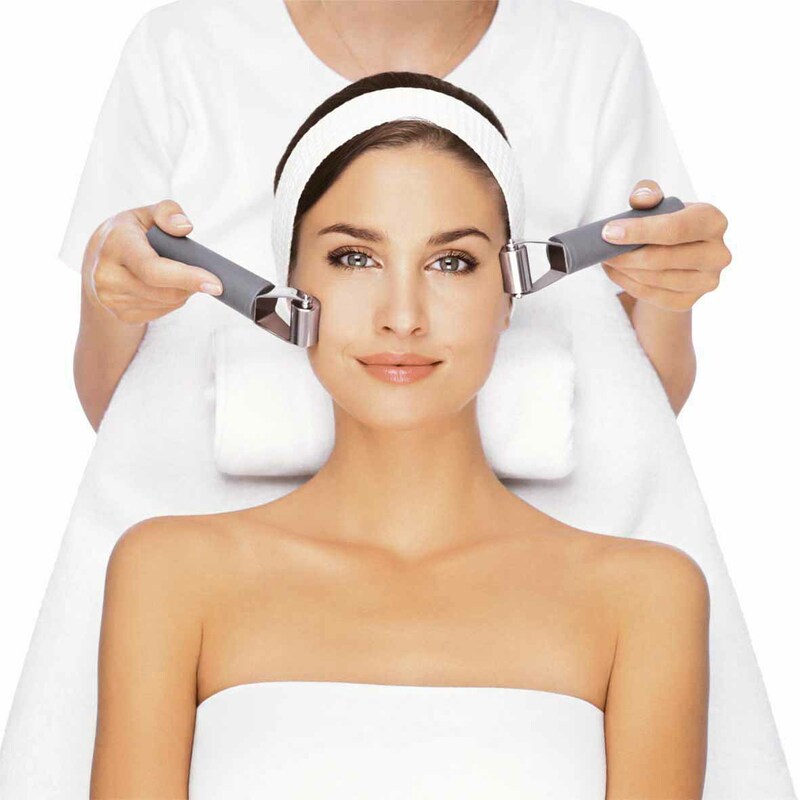 Today, Guinot’s meticulously honed collections of treatments and products, which include lines that focus on anti-aging, men, sun care, and specific issues like sensitive, distressed, and pigmented skin, are carried in over 1000 spas and salons within the US. Guinot Institut Paris is distributed in the US exclusively by Lachman Imports, which has offices and a full-service Guinot training center on Fifth Avenue in New York City. happy 10th anniversary king’s cup! Introduced to Thailand by Anantara in 2001, the King Cup’s Elephant Polo Tournament is turning ten along with the Anantara brand! The annual tournament will be held September 4-11 in the royal seaside town of Hua Hin. The charity tournament has expanded from a two-day event with six participating teams into a week-long extravaganza with twelve participating teams and players from at least fifteen different countries! Although the event has grown, the tournament has managed to remain true to its charitable roots. 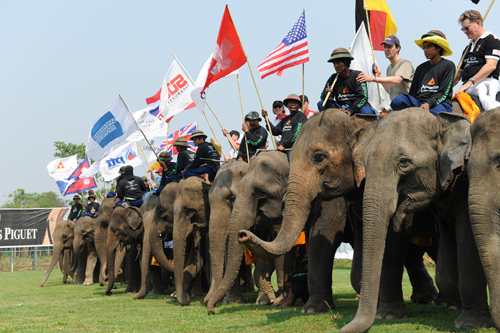 To date, the tournament has raised over $300,000, primarily for the National Elephant Institute which provides medical care, sustenance, employment, and mahout training for Thailand’s elephant population. In honor of the birthday celebration, Anantara Hua Hin is offering an Elephant Polo Package from September 3rd-11th that includes accommodations, daily breakfast for two, daily lunch at the polo pitch, roundtrip transfers between the hotel and pitch, and premium spectator access. Package rates begin at $254 per night in a Premium Garden View room before tax and service charge. Additional nights will be based on the Best Available Rate with breakfast. Attending the tournament is a must, so start packing your finest polo attire! 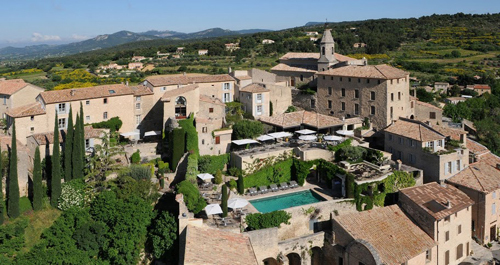 Set in the heart of Provence amid lush vineyards and olive groves, the refined-rustic Hotel Crillon le Brave is offering oenophile’s the rare opportunity to participate in the annual Vendanges (grape harvest) with an all-inclusive* three-day weekend package. Price: €1300 for a standard room or €1550 for a deluxe room based on double occupancy. A relaxed haven of simple sophistication, the five-star property consists of seven beautifully restored stone houses, dating from the 16th and 17th centuries, that are linked by bridges, cobblestone walkways and hidden courtyards. The authentic Provençal accommodations include 23 rooms, seven suites and a two-bedroom house, each decorated with a mix of contemporary furnishings and shabby-chic accents. In addition to the hands-on Vendanges experience, guests can explore the hotel’s terraced gardens and take a dip in the swimming pool, tour the historic village on complimentary bikes, or play on the nearby tennis and boules courts. The open-air spa at Hotel Crillon le Brave offers a selection of therapeutic body treatments. The southern region is famous for its food, and Hotel Crillon le Brave’s restaurant does not disappoint. Set in a rustic cellar with an open fireplace and terrace, the restaurant serves up flavorful regional cuisine such as gigot d’agneau (leg of lamb) and ragoût de gambas (shrimp stew) by Chef John Ellis. Local Rhône wines like Gigondas, Vacqueryras and Châteauneuf-du-Pape enhance the experience. To make a reservation, call +33 (0)4 90 65 61 61 or email reservations@crillonlebrave.com. With designer Jean-Michel Wilmotte receiving accolades for his designs for the just-opened Mandarin Oriental in Paris, we can’t help but let our minds wander south of the City of Lights to Wilmotte’s impeccable work at La Réserve Ramatuelle. Do as the French do this time of year and head to the slice of paradise, just minutes from the heart of Saint-Tropez and overlooking the majestic Mediterranean Sea. 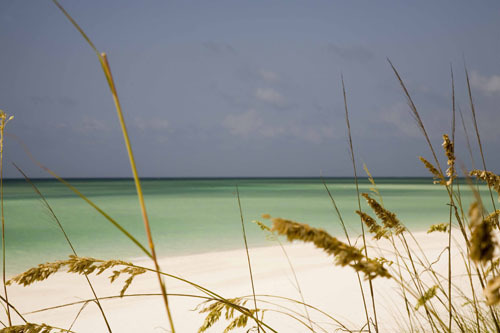 In addition to its luxurious rooms and suites, the ultra-private rental villas are the perfect escape. 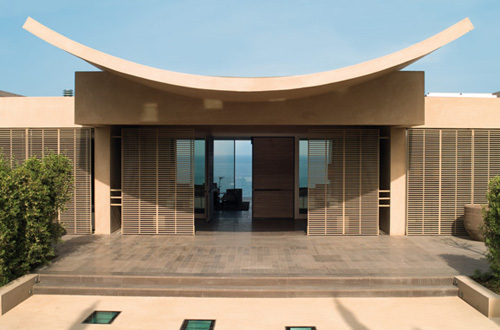 Take advantage of one of the spa’s signature treatments from La Mer specially crafted for the property. Or, kick things up a notch by participating in the spa’s six-day program promoting stress reduction, weight loss, and overall mind-body relaxation. “There is no trouble so great or grave that cannot be much diminished by a nice cup of tea,” 19th-century philosopher Bernard Paul-Heroux once said. 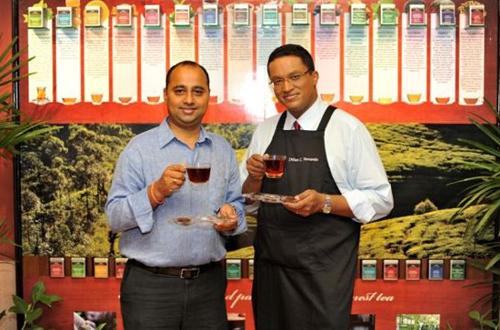 No one understands this sentiment better than world-renowned tea makers Dilmah, which has recently launched its range of sixteen new teas at Anantara Bophut Resort & Spa on the island of Koh Samui. The launch coincided with the introduction of the resort’s latest contemporary menu that infuses the tea products into its new food and cocktail selections. Guests will be tempted by the latest selection of Dilmah’s black, green, and infused teas, and will also have the chance to extend tea time into the evening hours with tea-inspired cocktails such as the Anantara signature Endless Mar-T-ni and the Earl Grey Cocktail. What do Paul Simon, Richard Bona and Raúl Midón have in common? They’ll all be performing at this year’s Istanbul Jazz Festival! Though it may seem like an odd place for jazz, local musicians and world-renown artists will be hitting the streets of this historic city from July 1-19 for the festival, organized by the Istanbul Foundation for Culture and Arts. Performances will be held in such eclectic venues as the former Byzantine Church of Hagia Eirine, the Cemil Topuzlu Open Air Theater and the courtyard of the Archaeological Museum. 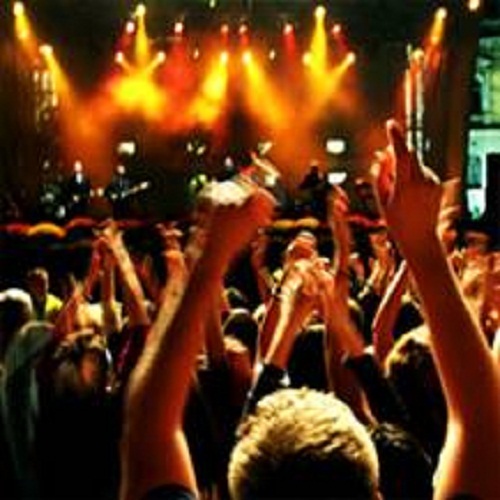 Have your tickets but looking for a place to relax after a long day of great music? Opt for Park Hyatt in the heart of Istanbul for a luxurious retreat. Rest up in this modern addition to Istanbul’s classic architecture and allow yourself to be pampered with all the luxuries of home, including spa products by famed perfume specialist Blaise Mautin. For more information about the jazz festival, go to www.iksv.org/caz. Gaga’s in town to perform at Saturday’s MTV Video Music Aid Japan, which will benefit the Japanese Red Cross. No word yet on whether her Grammy carpet egg chariot made the transatlantic flight along with her. ideeli, Inc. (www.ideeli.com), one of the fastest growing U.S. flash sale shopping sites, today announced the launch of ideeli travel, its enhanced travel channel. Powered by Voyage Privé, the first and largest global private flash sale travel group, the new ideeli travel will connect members with over 100 monthly curated travel offers, all within a full-feature travel booking platform. Flexible refund/cancellation policy: including optional “cancel for any reason” travel insurance. Authority and authenticity: The ideeli travel and Voyage Privé verified seal signifies that offers deliver on both value and standards. “With this enhanced travel channel, our members will have even more opportunities to discover new destinations and experiences, with the added conveniences – like on-site booking – to make the shopping experience even easier,” said Paul Hurley, CEO and Founder of ideeli.